Explanation: To seventeenth century astronomers, Omicron Ceti or Mira was known as a wonderful star - a star whose brightness could change dramatically in the course of about 11 months. Modern astronomers now recognize an entire class of long period Mira-type variables as cool, pulsating, red giant stars, 700 or so times the diameter of the Sun. Only 420 light-years away, red giant Mira (Mira A, right) itself co-orbits with a companion star, a small white dwarf (Mira B). 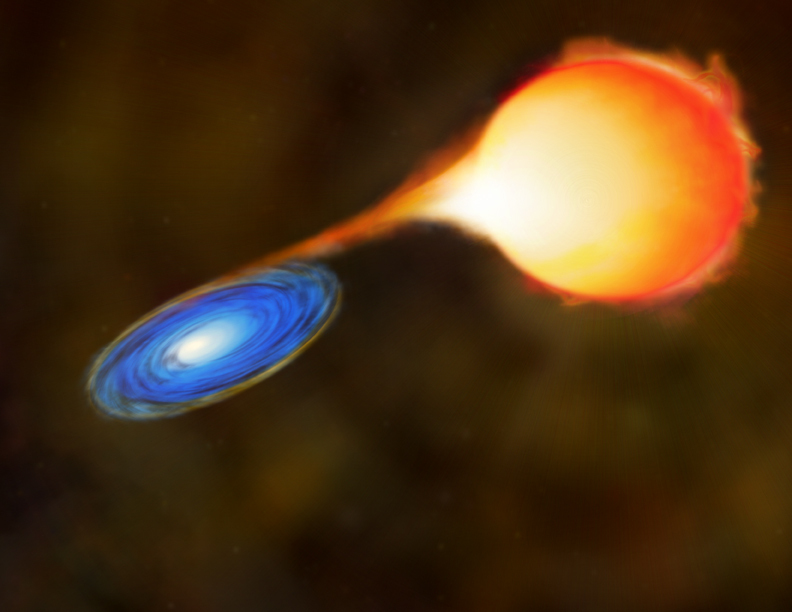 Mira B is surrounded by a disk of material drawn from the pulsating giant and in such a double star system, the white dwarf star's hot accretion disk is expected to produce some x-rays. But this sharp, false-color image from the Chandra Observatory also captures the cool giant star strongly flaring at x-ray energies, clearly separated from the x-ray emission of its companion's accretion disk. 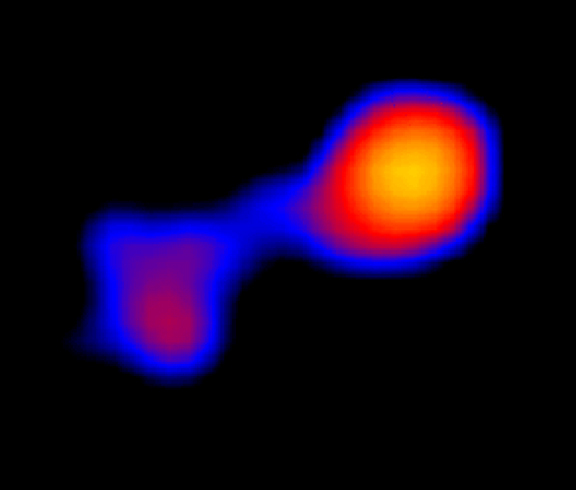 Placing your cursor over the Chandra x-ray image of Mira will reveal an artist's vision of this still wonderful interacting binary star system.